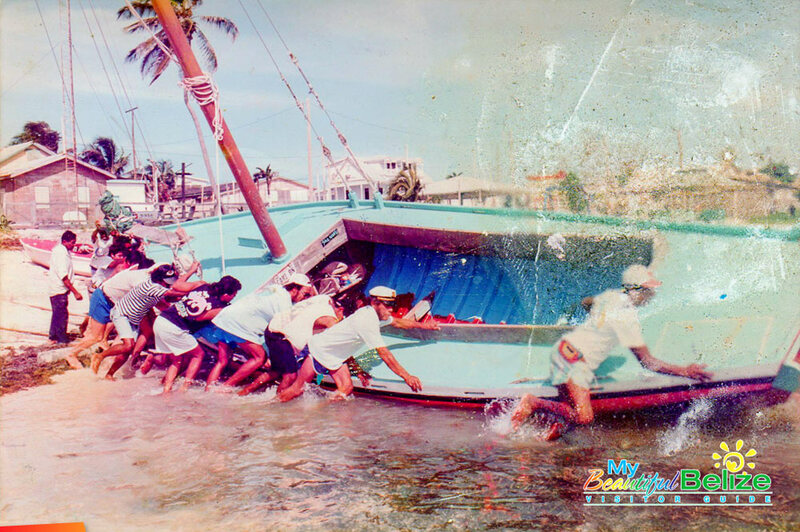 Celebrating 30 years of The Rum Punch II! She is not fancy; her humble exterior belies how much she truly means to so many, but The Rum Punch II is hands down, the BEST adventure on the water. Built by hand over two years, from mahogany wood, she is solid. Her red exterior and off-white sails stand out over the hues of blue and green waters. She’s not huge; in fact, she’s perfect for no more than a dozen people on board ready to enjoy some adventures on the water. With owner George Eiley at the helm, a gallon of his extra special rum punch at the ready, cruising the Caribbean is a breeze! And for 30 years, The Rum Punch II has been providing an escape for those who seek it, if only for a few hours. Imagine sailing six days down south: camping, fishing, cooking, mixing drinks and tending to sunburned tourists who got to see a Belize that most of us never will. I flip through his photographs, feeling a fleeting jealousy as I try and picture how amazing it must be to wander the waters of our country, seeking shelter on uninhabited islands. Of course, George is game to take us on a similar journey whenever we’re ready (I hand in my request for immediate vacation). George’s photos reveal a fishing village that had an active water-based life. “The first boat belonged to this guy who was down here for a while. Back then $1000 could keep you here for up to six months! He paid $300 for this sailboat and we used to party and have so much fun with him. Then one day he said he had to go back home, and asked us [George and Tony Eiley (now deceased)] to take care of it for him, and that he would be back in two weeks.” The owner didn’t make it back for five years! “We would use the boat to head out to the reef and fish. Oohhh, back in those days, fishing was amazing! Lobsters everywhere you looked…and we would bring in buckets of fish. One day on our way back, a tourist asked us how much we would charge for a sailing trip, and we joked and said $10 US. The guy was like, okay. We made a hundred and twenty dollars that day! Tony and I said, ‘time to get serious’.” And so The Rum Punch tours began. But how did the boat get its name? If anyone’s talked to George at length, you know how hard it is to get a full story, as one anecdote leads to five. After discussing the wonders of Tobacco Caye, Southwater Caye and Wee Wee Caye, he finally came round and told us the origin of the boat’s name. “Back in the day, there were no hardware stores where you could just go buy a paintbrush. So the guy (original boat owner) took some coconut leaves, and beat the end of it till it got frayed and it looked like a brush. He dipped it in the paint and started painting: ‘R-U-M P-U-N-C-H’.” Yes, he was drunk when he did it! George laughed loudly as he recounted that tale. “I always said my next boat would be named The Rum Punch II.” He held on to that promise and did just that with his own boat. 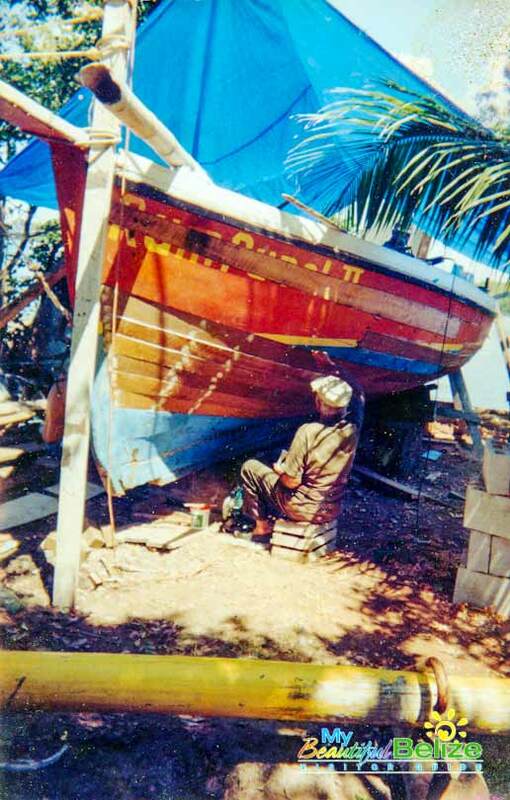 The mahogany beauty was hand-built in Sarteneja village in 1974, but did not come to be in his possession until 1985. 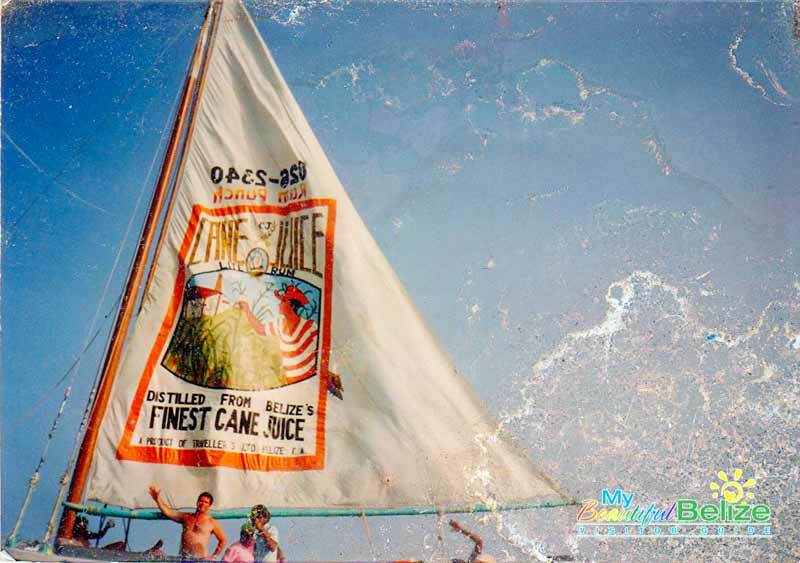 And now here she is on Ambergris Caye waters, celebrating 30 glorious years as The Rum Punch II. Here’s to MANY more years on the Caribbean with The Rum Punch II, and Mistah George and his lethal rum punch concoction! May your trips be plentiful, full of laughter, and may you continue to bring joy to those who board you! (Book a trip with George by calling 610-3240). Here's the whole article, and lots more photos!